The almighty Wizard of Otin and his bloggy buddies Bambi RX and Hit40 have begun a Happy Hour Friday theme each week that I'm going to try today. Don't know if I can think of a bunch of things that make me happy every week but every once in a while should be doable (I do have a reputation of being a snarky, unsatisfied slacker, to keep up after all). When at night my cat burrows underneath the blankets and slithers alongside of me like a cute furry snake. Listening to Led Zeppelin (or The Clash, The Cure, The Stones, Queen, or The Talking Heads) and flashback to being a teenager with the whole world ahead of me for the taking. Reading a book on a lounge chair in the sun, a cold glass of something by my side (anything with vodka), and then immediately falling asleep. Hanging out with a friend or friends, drinking wine, and talking about everything and we all act like we haven't heard it all before. The way the morning sun filters through the blinds in the office as I type away on my laptop. The way the afternoon and evening sun filters through the blinds in the living room - so film noir - minus the dead body. Watching the dancers on So You Think You Can Dance - they get better every year and the moves their bodies are capable of, and the awesome choreography, take my breath away. If I could have do-overs I would have been a contemporary dancer. Going to the ocean, no matter what the weather, and watching and listening to the waves for hours. The smell of Evergreens and dirt... and cement too... after the first rain in weeks. Curling up under a thick blanket, in my big comfy chair, on a rainy day, with my "fireplace" DVD in the TV, some coffee by my side, a great book, and my cat on my lap. Heaven. Going out to dinner with family or friends. Fave comfort food: steak or chicken and mashed potatoes, corn, ice-cream, pineapple upside down cake, German-chocolate cake with a big glass of whole milk. When my hubs unintentionally twists sayings: i.e., "Like a duck out of water", "Like a sheep in wolf's clothing", and, "he has a mind like a steel sieve". The burn my legs feel after a particularly long walk -- then I go have a pastry and coffee. OK - that's all for now - gotta save some happy-making things for next time. 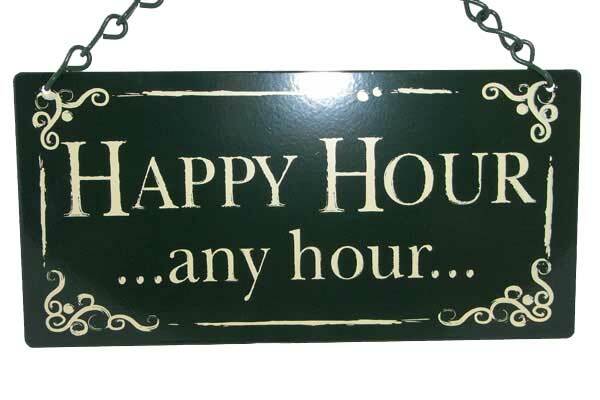 PS "Happy Hours" make me happy, but that's a given.